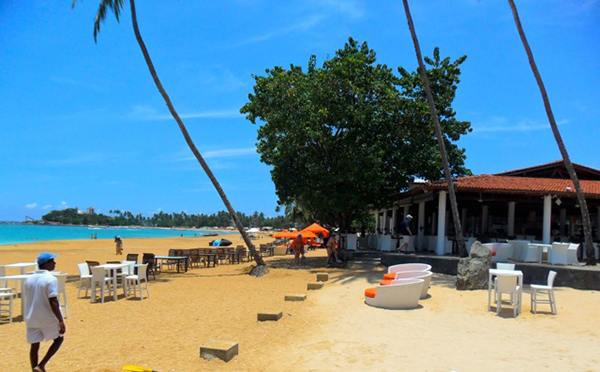 “The beach is back!” As soon as the pumping and gushing of sand over the exposed rocks at Unawatuna was finished, these words buzzed around Sri Lanka, and Unawatuna in the island’s south was back in business. Once acclaimed as one of the 10 best beaches in the world by a US television programme, the cove at Unawatuna became famous because of the sand quality (the beach was kept clean by residents), the sea (perfect for safe, spontaneous swimming year round), the friendliness of its residents (no beach boy hustling), its narrow lanes with cute shops and homely guesthouses, and its after-beach partying. That changed two years ago when a breakwater was constructed that interfered with tidal patterns and the waves sucked away the sand that won the beach its fame, leaving only a rocky foreshore. Now the sand has returned, thanks to a major operation that involved dredging sand from the ocean bed and pumping it back into the bay, and beach life has resumed as normal. Vesak is early in May this year, with the Vesak Full Moon Poya Day falling on Sunday 3 May. The following day, Monday 4 May, is also a public holiday in Sri Lanka and the whole week is being set aside for Vesak celebrations. It’s the time when Buddhists commemorate the birth, enlightenment and demise of Guatama Buddha. For visitors it’s a wonderful opportunity to see the colourful, home-made paper enhanced structures erected by the roadsides, dramatically depicting scenes from Buddha’s life. After the religious ceremonies and donation of food as alms, villagers like to tour the streets to gaze at the illuminations. 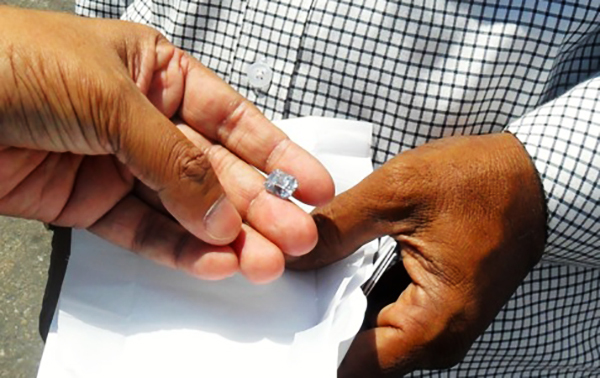 I devoted my blog in March to the gem cutters and merchants in China Fort, near Beruwala, who are an important part of Sri Lanka’s thriving gem trade. This month, May, the country’s importance in the worldwide gem industry is being recognised when the International Coloured Gem Stones Congress by the International Colour Gemstone Association (ICA) is held in Colombo from 16 to 19 May 2015 at the Cinnamon Grand Hotel. The theme is “Sapphires and More” – aptly summing up Sri Lanka’s appeal. Traders from China Fort will be there, taking the opportunity of meeting buyers from around the world. This is an occasion for networking and developing new business opportunities under exhibition conditions while showcasing the local gem and jewellery trade. It’s also a fascinating show for the amateur interested in gems. Having inspired the word ‘serendipity’ – defined as ‘the occurrence and development of events by chance in a happy and beneficial way’ – Sri Lanka is the perfect place for unexpected discoveries. 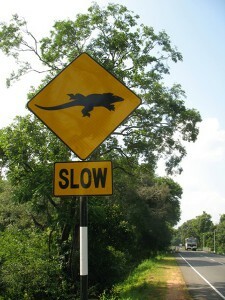 If you’re travelling around by bus, car or train, do keep your eyes open for unusual sights by the wayside. 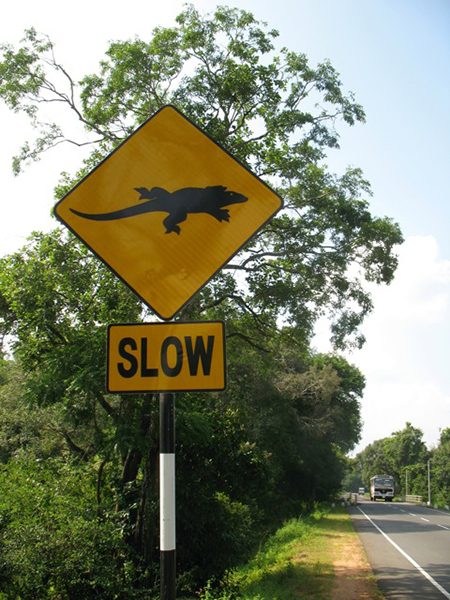 These range from an elephant hitching a ride on the back of a truck, to amazing road signs (such as one warning of iguanas crossing) to a glimpse of village crafts. 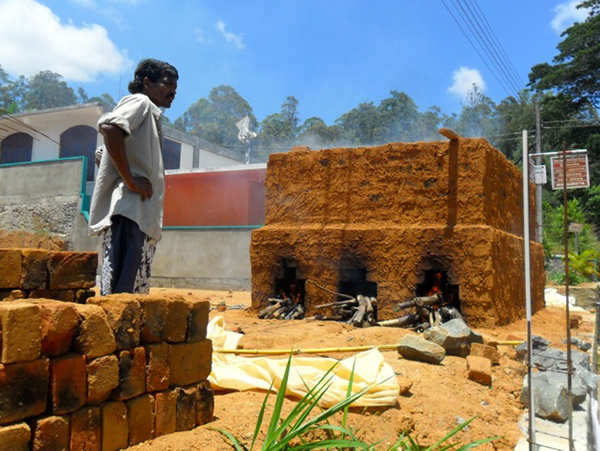 In an inland village recently, I spotted clay bricks being made the ancient way, baked in a clay oven for 24 hours on the site where they were to be used for building a new house. Classic cars in Sri Lanka are loveable indeed, except when they break down. The sight of a Morris Minor (used as taxis until replaced by the Indian Bajaj three-wheelers) meandering through traffic is always a cheering one. In Sri Lanka there are also some amazing vintage cars (registered before 1930 and with a registration number beginning with a single letter of the alphabet) as well as Classic Cars. There will be dozens of Classic Cars on display at The Ceylon Motor Show being held at the BMICH in Colombo on 8, 9 & 10 May. One of the sponsors is the Classic Car Club of Ceylon. This was founded in 1992 and has over 250 members. In Sri Lanka, the definition of a Classic Car is one bearing an original registration number from CE0001 to EN9999 (discontinued in the 1950s) or one that was at least 25 years old when the club was founded. Other cars are also considered as classics if approved by the club’s committee. Sri Lanka’s internationally acclaimed artist, Raja Segar, his turned his liking for the Beatles’ music into an unusual and highly collectable series of paintings for a special Beatles-themed exhibition of his art. 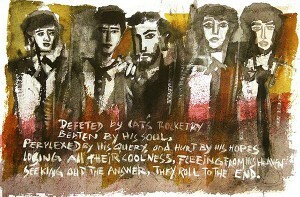 A dedicated, full time artist — who has had many solo exhibitions in England, India, Singapore, Canada and Australia as well as Sri Lanka since his first one-man show in Colombo in 1985 — Segar’s distinctive style in this series of paintings brings to life the days of fame of Britain’s fab four. As an erstwhile beat poet who actually performed with the Beetles in Liverpool in 1960 (and persuaded John Lennon to spell their name with an “A”), I have been asked to open the exhibition on Thursday 7 May. More than 20 paintings in oil and water colour, some with lines of poetry from my book of beat poetry, Gone Man Squared, will be on display. The exhibition is open to the public at The Art Gallery, Cinnamon Lakeside Hotel, Colombo, from Friday 8 May until Thursday 14 May 2015.